Sunday night, and I am too tired to study but it is too early to sleep. So here I am. But I heard a sentence today that stopped me in my tracks. An hour later, well actually, several hours later, I am still thinking about it. We all know what a near death experience is. May I repeat the line? 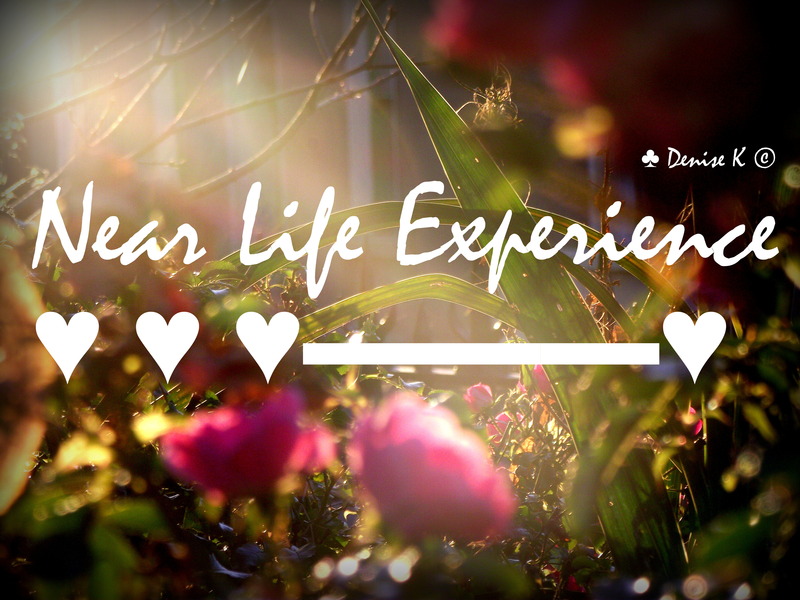 “Some people survive near-death experiences, but many spend their lives having near-life experiences…” After I heard the phrase, I erupted in laughter, nervous laughter. You know, that kind of laughter you find yourself in when you are facing an awkward moment or you want to squirm your way out of the present challenge. The thought instantly caused me to think about the many moments where life invites us to live, or we are faced with a choice to avoid a great adventure and sit that dance out. When I think of a near-life experience I imagine it is that point in life where we must make a critical decision, where we either live the life we want or we don’t. So what do the majority of us do when the near-life experience presents itself? Do we run into the nearest telephone box, do our Clark Kent turnaround and spin out of there in our Superman outfit, ready to take on the world? I wish it were so. I think most of us see life sizing us up and we run away from meeting the challenge. So many do not survive these near-life experiences, we avoid those challenging steps that would take us on a new journey to the life we really wish we were living. Why? It takes more courage to believe in nothing than in something, and it takes raw guts to be someone who lives a fearless life. I don’t know about you, but I want to live UNAFRAID!! I don’t want to reach the end of my life, only remembering the moments I almost lived. I almost dreamed. I almost loved. I almost conquered my fears. I almost fulfilled that incredible adventure. I almost made a difference. I almost became the person I was created by God to be. I don’t want to look back and live with that regret! How about you? I don’t want to see something inside of me die every time I walk away from the ‘almost’ things of a near-life experience. I want to really live. Fully alive and seizing every day like it were my last, for one day it will be. In summary, can I say, grab life by the reigns, ride it for all you are worth. Be ready for those near- life experiences, the white-knuckle rides that scare you to pieces, but take you to heights you never dreamed possible! I am with you – I am doing this. Why, just today I took a leap of faith into the unknown to me, but known to God. And tomorrow I will do my best to look for another opportunity to not miss, to not sit out on, to have the best life experiences I can. I don’t want to miss a thing! Don’t almost live, instead, live intentionally!